Utilizing state-of-the-art packaging tools and superior grade supplies, we pack our products and help them remain protected from external damages. Furthermore, the packages are labeled properly for information. Headquartered in MEDAN(Indonesia), we are a renowned name presenting a huge gamut of products. 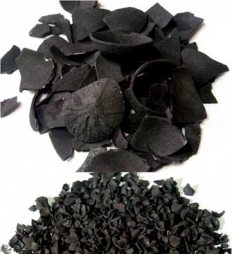 The offered Coconut Shell Charcoal produces less smoke than the similar products and burns for a longer time.